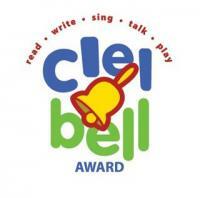 The Silver Bells are 25 picture books from the last 25 years, that the CLEL Bell Awards Selection Committee consider to be excellent representations of the Bell Awards. Five books have been selected in each of five categories: Read, Write, Sing, Talk, and Play. These categories represent practices that research shows support early literacy development in young children. for childcare and preschool settings, and for exploration at home. Lola at the Library was chosen in the READ category. THE CHILDREN’S BOOK COMMITTEE at the Bank Street College of Education's Centre for Children's Literature strives to guide librarians, educators, parents, grandparents, and other interested adults to the best books for children published each year. In choosing books for the annual list, reviewers consider literary quality and excellence of presentation as well as the potential emotional impact of the books on young readers. This is available in the UK in hardcover and paperback as Lulu Reads to Zeki. Lola Loves Stories - the US edition of Lulu Loves Stories has been selected as this year’s title for the one-book/one-state, Kansas Reads to Preschoolers reading initiative. Kansas Reads to Preschoolers is a statewide event, with the goal of having every Kansas child from birth to age five read to during the week of November 11-17, 2012. Lola Loves Stories was read to over 14 thousand pre-schoolers! Click here to find out about activities. 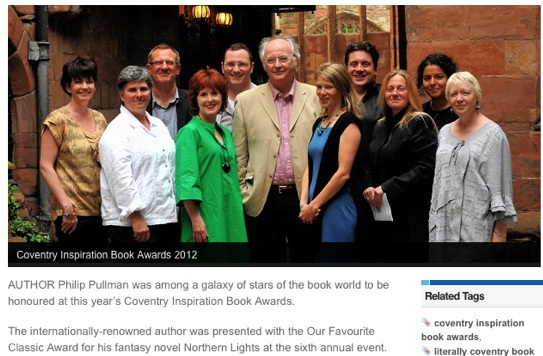 Lulu makes it on to the front cover of Book of the Month Club shortly after it was first published.